I hope you are having a wonderful weekend. Yesterday we drove to Strasbourg for a lovely afternoon and dinner at one of our favorite restaurants. I stocked on Bioderma Sensible H2O 500ml bottles as usual. At French Pharmacies these come in packages of two which cost the same as one in Germany. I also wanted to get a face wash for dry skin and ended up with a Canadian Brand, more about that soon. Dinner went well apart from my fish which was not properly cooked the first time around. Everything else was perfect. As sorry as I am for the ducks, I enjoyed some Foie Gras as a started. The weather is going stable at almost 40°C and it is impossible to get any base on the face. Everything ends up melting. I am so mad at myself about not purchasing the MAC's new waterproof foundation yet. I will definitely check it out tomorrow. For the time being I enjoy a bare face and no make-up look. Apart from Black Dahlia which is a little drying on me and needs some preparation to make it work, I enjoy the others on a daily basis. They last very long on me. The deeper shades (such as Plum Lush) can be applied, blotted and applied again in the morning and it stays put until lunch time. After the lunch I can reapply it but even if I don't, there is a beautiful stain which is left behind which fades perfectly without getting patchy. If you are a long time reader, you know how crazy I am for hot pinks. Usually very bright colors wash me off but pinks somehow cooperate. When I heard the name "Electric Pink" I knew I needed it for summer. Electric Pink is borderline neon. It is one of the most wearable bright pinks I have. The formula is beautiful, it doesn't dry my lips at all. Now if you are like me and being washed off by bright lipsticks, you should try a matte finish. Matte finishes on eyes and lips as well as on cheeks is an easy way to pull off colors which would look too much or stick out other wise. Below I am wearing Tom Ford Matte Lipstick in Electric Pink on the lips, Addiction by Ayako Flash Back on the eyes and Romantic on the cheeks (reviewed here). Now on to the berry gorgeousness. If you like your berries a little cooler like I do, here is Tom Ford's answer to you. 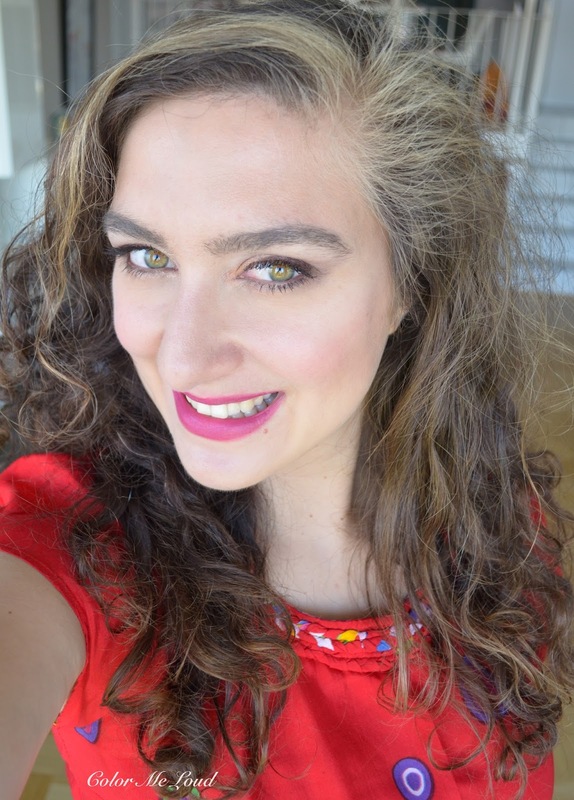 Lip Color Matte in Velvet Violet is a plum berry which doesn't lean too much red. I love shades like this but they end up pulling too reddish on me. This reminds us of another matte shade, Plum Lush. Plum Lush is brighter, lighter and also warmer. Velvet Violet is deeper and cooler. If Black Dahlia was too deep for you, you will like Velvet Violet very much. I found Velvet Violet to be a tad more drying on me, compared to the other lipsticks in the line but not as bad as Black Dahlia, which needs lots of moisturizing before action. I believe it is again the blue pigment which is hard to get right. Nevertheless I applied Velvet Violet without any lip balm underneath and it looked fine before lunch. After the lunch I enjoyed it as a stain 3-4 hours more. These are one of the longest lasting lipsticks in my stash. Below I am wearing Kevyn Aucoin Duo in 205 Rose Gold/Iced Plum (reviewed here) on the eyes, Tom Ford Cheek Color in Wicked on the cheeks. I pulled out some closer matte shades from my stash for a comparison. 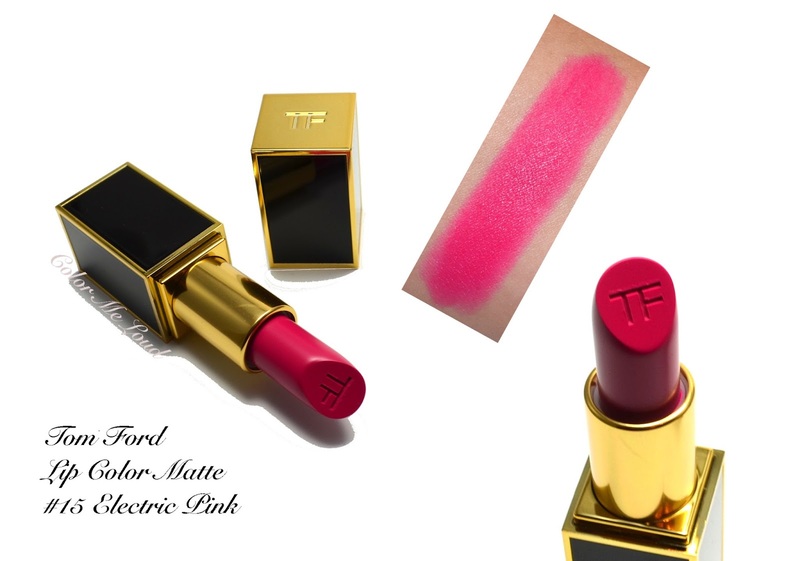 Tom Ford Electric Pink is cooler and brighter than MAC No Faux Pas (reviewed here). 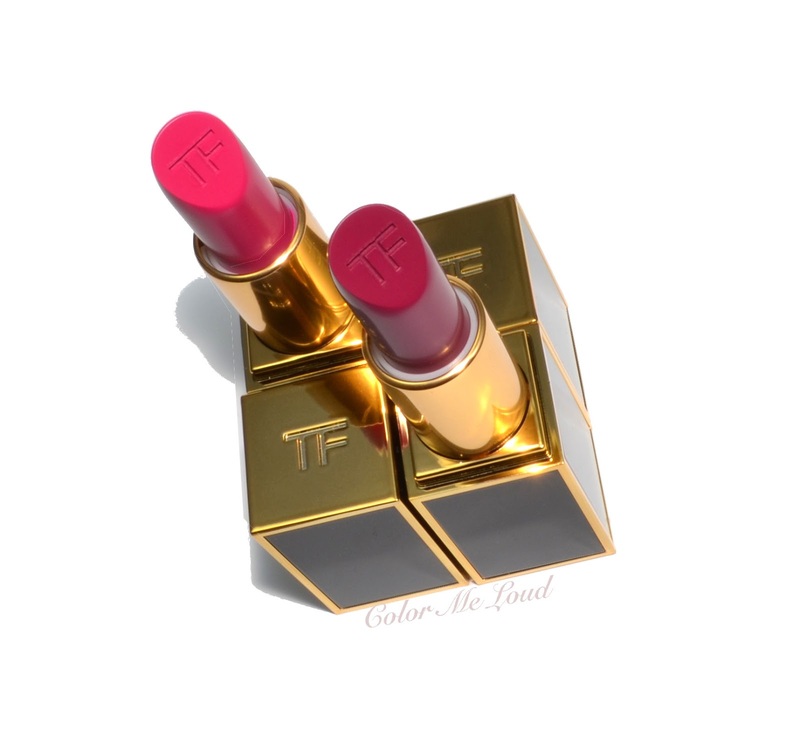 Tom Ford Pink Tease is warmer and dustier compared to Electric Pink. 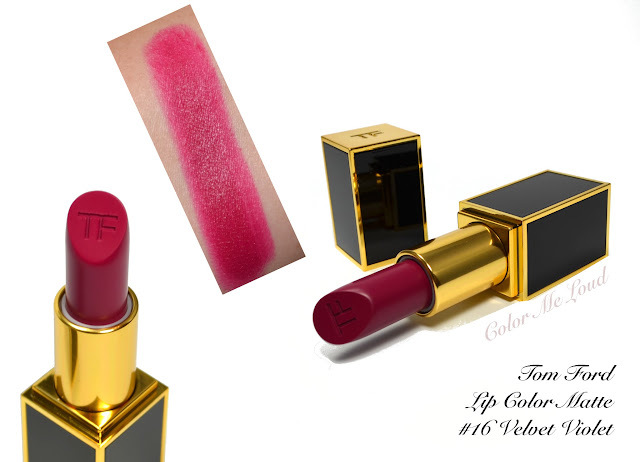 Tom Ford Velvet Violet is between Plum Lush and Black Dahlia in terms of deepness. It is cooler and deeper than Plum Lush. Black Dahlia is warmer and deeper than Velvet Violet. Both of the colors are exactly my type shades and I love them both. I like Electric Pink because it is cooler than my other hot pinks. It is also bright but not neon on me. It manages to stay wearable. Velvet Violet is pure love and also more unique. It is a tad more drying but it doesn't bother me all that much. I love it for summer and will continue enjoying it in Fall too. Here are also swatches of both of the lipsticks by Temptalia. On Christine they both look warmer. Final thoughts: Pink, violet, berry lovers will love Tom Ford's new matte lipsticks. If you shy away from bright pinks or violets, matte texture makes these more wearable so be sure to check them out. A big thumbs up for the longevity for these apply in the morning, enjoy until the afternoon lip products. Perfect for lazy lipstick reappliers like myself. Do you also use matte textures to wear whatever you shy away from? Matte lipsticks, yay or nay? Lovely. I am not a great matte lover for my lips but Plum Lush is an exception. I am still working my way through the (18!) lips and boys I ended up with from TF, some of which I still haven't worn, so I think I am done with TF lipsticks for a little while! OOO new TF matte lipsticks! I lI've Plum Lush so I think I'd like these, too. They might have to wait until the weather properly cools down tho. For the moment I am ALL about coral! After seeing those swatches I might just need Plum Lush! 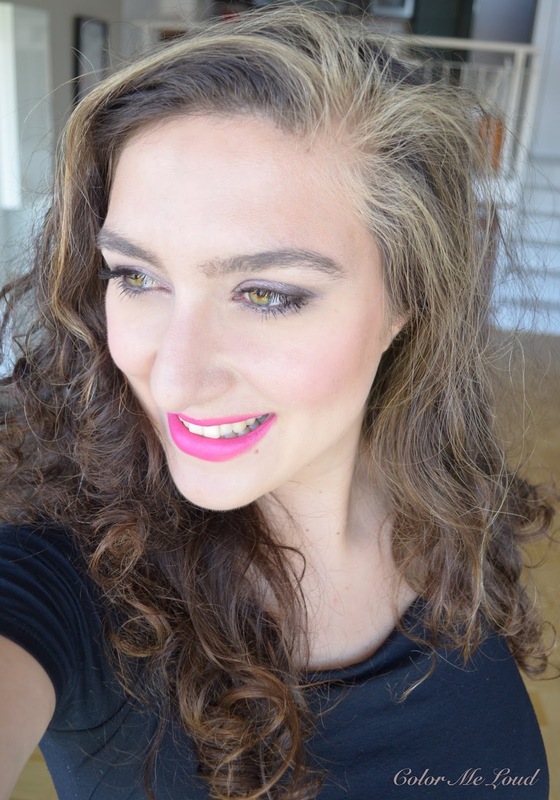 Matte lipsticks are not my favourite formula to wear, but I have & love Pussycat which I don't find too drying at all. MAC & Illamasqua mattes though I just can't handle. Electric Pink & Velvet Violet both look beautiful on you, although if I had to choose one, it would be Velvet Violet. Beautiful colors and great on you. I was drawn to VV but it's close enough to Violet Fatale so I passed. Also so many L + B's haven't worn so waiting for now. Oh I love these pinks on you! I especially love Velvet Violet. I've got my eye on Black Dahlia for the longest time, but I can't justify another dark lipstick. LOL! oh my why aren't these here yet???? velvet violet has my name on it!!! the same here, I am obsessed about matte lips lol. LOL Sunny and her corals. You should maybe check Flame, that one looks like it would look fab on you. Plum Lush is so beautiful, It it still one of my favorite from the line. Which reminds me, I NEED VV! I knew you would love that one too! Are you sure you don't have them? You are so right. Some Guerlain lipsticks turn neon on me, and look awful, washed me off but these didn't do that. It is bright yet not overly so. This is why I especially like them. Also being matte helps wearability I think. Did you also find Black Dahlia a little drying? Oh thanks for the recommendation. I have to check Sephora ones when I am in France again. In Germany we don't have Sephora, how sad right? Plum Lush, there is something about that color. It is not plum, not pink, not over the top but not too subtle either. Its tone is also very unique. Oh don't remind me of L&B disaster! I also have around 17 shades!